Victorian Leader of the Opposition Daniel Andrews MP has released the Labor Party's plan to reinstate TAFE funding, should the Labor party win the next Victorian election. "The Baillieu Government’s funding cuts to TAFE are the most devastating in the history of Victoria. These shortsighted cuts are driving up fees, closing campuses and costing us some of our most experienced teachers. These cuts will drive young people away from regional communities in search of the skills they need for jobs and will cost Victorians for many years to come." fund TAFEs to deliver their Community Service Obligations to ensure they can support the most disadvantaged to access training. This will restore the ability of TAFEs to deliver vital training in their local communities and to provide proper student support services. invest in TAFE infrastructure and ensure that such investment is focused on areas of training vital to strategically important industries where emerging skills shortages need to be addressed. support the VET in Schools program that provides a vital link between general schooling and vocational education. properly fund more extensive and rigorous auditing of training providers, with an increase in on-site audits and a focus on outcomes. These requirements will include the capacity to close down unscrupulous operators. provide an automatic right to government-subsidised training for redundant workers to re-skill, regardless of prior qualifications. Although Labor doesn't plan to reinstate per-student-contact-hour funding cut from TAFE courses, the promise to bring back funding for TAFEs' community service obligations amounts to around $170 million, accounting for over half of the Ballieu government's $300 million in funding cuts. The promise to introduce quality control requirements and ethical recruitment standards for private training providers begins to address the real cause of the Victorian government's skills spending blowout: namely, the 308% increase in enrolments within private RTOs receiving per-student government funding, including RTOs such as Crown Casino training their own employees and dodgy providers operating unethically by offering cash incentives to enrol or failing to provide training, as investigated on the 7:30 Report (8 & 9 August). This is in stark contrast to the 4% increase in TAFE enrolments over the same period. In short, the blowout in private providers, some of which are not providing legitimate skills training due to lack of regulation or lack of ethics, is causing government funding to be siphoned away from TAFEs, which did not experience the same growth and, as public providers, are subject to greater quality controls. Labor plans to use the funds derived from better quality controls for RTOs to fulfill the promise to reinstate funding for TAFEs to meet community service obligations. The report states that any additional funding required will be the first priority on any projected budget surplus, following the provision of a minimum $100 million operating surplus. 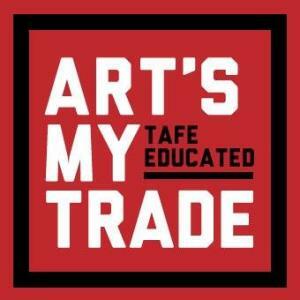 The remaining deficit of $130 million is still a daunting figure, and with courses and campuses slated for closure well before the next election, TAFE still faces a long struggle. Nonetheless, Labor's promises are welcome and much-needed support, and demonstrate an understanding of the vital importance of skills training. Read a summary or the full paper here.